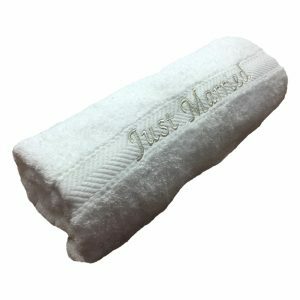 These fabulous ladies white just married flip flops are the original and featured just married flip flops, which were presented to Hollywood actress Patricia Arquette on the Richard and Judy show. They have since been featured in a number of celebrity magazines. These fun Just Married sandals are not only for the Bride and Groom. 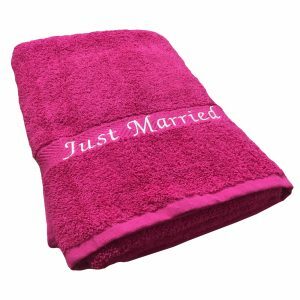 Consider providing a pair for each of your attendants to wear while they enjoy a day at the spa, the beach or even at the reception. 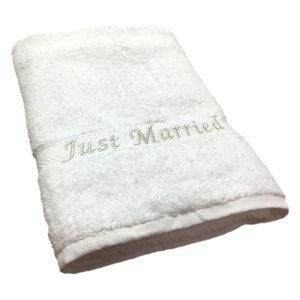 These also would make fabulous guest favors for weddings with a beach or tropical theme. So comfortable you’ll want to wear them again and again! 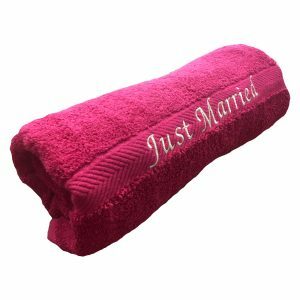 Sale price of only £2.99 while stocks last! Diamante bridal tshirts from Forever Memories. 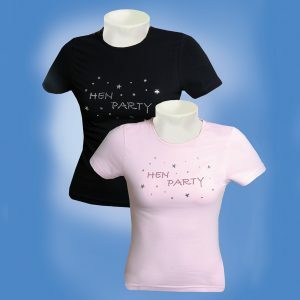 Get your bridal t-shirts decorated with our rhinestone crystals to make the perfect wedding t-shirt. 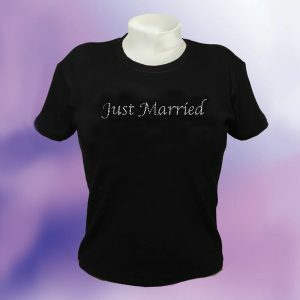 Personalised diamante tshirts with your married name. Peronalise this t-shirt with our fabulous rhinestone crystals making the perfect diamonte tshirt.